From December, customers can use facial recognition technology from curb to gate at ATL’s Terminal F and to board at DTW. 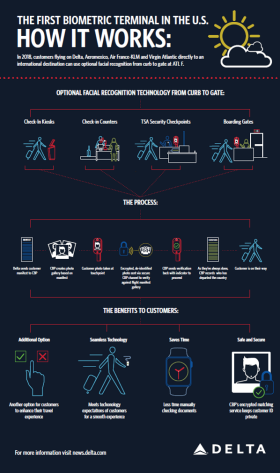 On November 29, Delta Air Lines, in partnership with U.S. Customs and Border Protection (CBP), Hartsfield-Jackson Atlanta International Airport (ATL) and the Transportation Security Administration (TSA), unveiled the first biometric terminal in the United States at Maynard H. Jackson International Terminal (Terminal F) in Atlanta, announced earlier this year. Travellers will need to have their passports available and should always bring their passports when they travel internationally for use at other touch points during their trip. Touch points throughout the terminal in Atlanta started coming online in mid-October – nearly all 25,000 customers who travel through ATL Terminal F each week are choosing this optional process, with less than 2 percent opting out. And, based on initial data, the facial recognition option is saving an average of two seconds for each customer at boarding, or nine minutes when boarding a wide body aircraft. 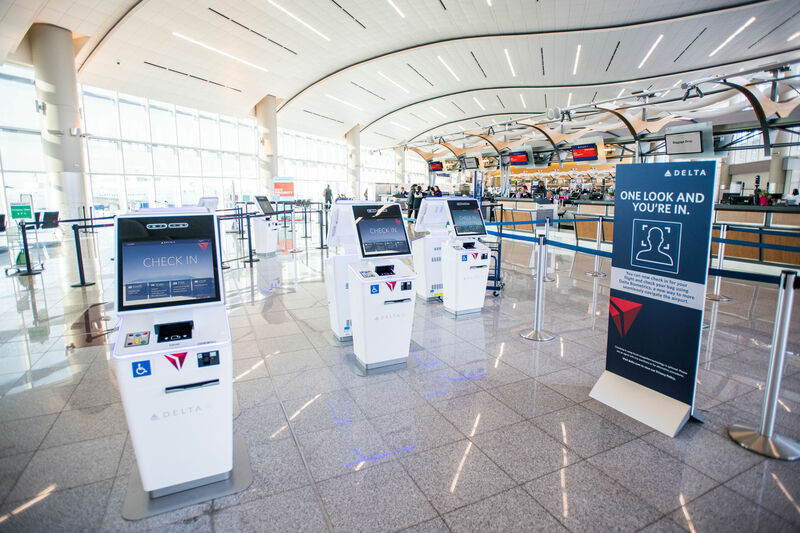 Delta plans to scale the end-to-end airport biometric terminal experience to the global airline’s hub in Detroit in 2019. On the heels of the successful roll out in Atlanta, Delta, in partnership with CBP and the Wayne County Airport Authority will expand the facial recognition boarding test that started in July, which was the first of its kind for the airport, to all 14 international gates at McNamara Terminal in the Detroit Metropolitan Airport (DTW) by mid-December. With this move, any customer flying direct to an international destination from DTW will also have the option of using facial recognition technology at boarding. In 2019, Delta will roll out facial recognition technology at DTW from curb to gate for its customers.